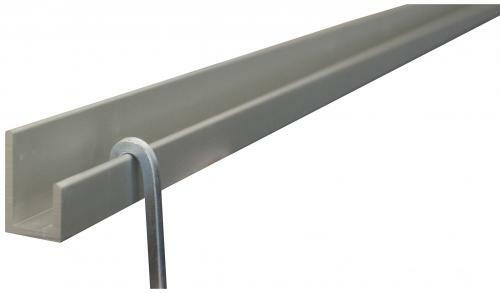 This aluminium rail is supplied in 2 metre lengths. Designed for use with the 'U' shaped rods. Once the rail is in place the rods can be easily moved along to suit your display. Self locking hooks, available as standard or security, are then slipped on to the rods.